First of all, it's crucial that you realize that practice makes perfect. This means that the more you read, the better at it you'll become and the more you'll develop your reading comprehension skills. Now that you're in your winter break, doing so can actually be easier, since you'll have much more free time to focus on reading. You can also set achievable goals (such as 'read half an hour each day') to increase your book count and sharpen your reading skills. To really comprehend the reading material you're going over, you need to focus completely on it. To that end, it is important that you create the perfect reading environment for it. This includes making sure that there are no distractions in the space where you'll be reading. You should also guarantee that the place is well-lit so as to avoid straining your eyes. It also needs comfortable furniture where you can sit to read for long hours without getting hurt. There are some tools out there that can make your understanding of reading material much more accessible. To guarantee that you improve in your reading comprehension, you should ensure that those learning tools are within arm's reach. For example, you can make use of a dictionary to figure out the meaning of any unknown words you come across while you're going over a text. Likewise, a highlighter can help you emphasize key information that you may need to remember to understand a text. Getting academic support to become a better reader can help you achieve your reading goals much more easily, quickly, and successfully. That's why you should consider enrolling in one-to-one reading tutoring in Fisco TX. Through tutoring classes, you'll work closely with an experienced tutor in a positive environment that's conducive to learning. There, you'll receive the attention you require to overcome any difficulties that can be keeping you from becoming an avid reader. Call The Tutoring Center, Frisco TX at (469) 980-7940 to learn about the academic programs they offer, or to schedule a free diagnostic assessment. To fully understand a text, it's necessary that you remember certain information and that you assimilate it correctly. If you have a challenging time with this, you may want to start writing down important information as you read. For example, you can take note of names, main plot points, dates, relations, and other similar data that can help you comprehend a reading material in its entirety. To make that happen, have a pencil or pencil and a notebook near you when you're reading. Sometimes, books reference other time periods, historical events, fictional characters, among other information that's deemed common knowledge. This means that, to develop your reading comprehension skills, you need to learn what the book is talking about. For that reason, you should do some research when needed to understand a book. There are some reading techniques you can make use of to improve your reading comprehension. For example, you can read out loud to make sure that you're not skipping any words, phrases, sentences, or paragraphs that could alter your understanding of a text. You can also reread a segment as many times as you need to guarantee that you fully comprehend its contents. This way, you won't be dragging any confusion along through the rest of the text. Last but not least, you can discuss the material you're reading with peers, friends, family, or other people. You can even organize a book club where you all read the same book and discuss it afterwards. Sharing your opinions, interpretations, and questions about a reading material will help you organize your ideas a lot better. Moreover, hearing what other people think of a text will allow you to open your mind to different perspectives which, in turn, may also help you understand the reading material. 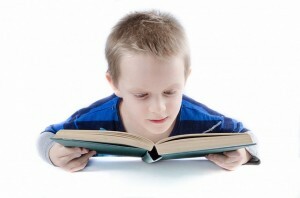 Become a better reader, student, and overall learner with one-to-one tutoring in Frisco TX. Call The Tutoring Center, Frisco TX at (469) 980-7940 to learn more about the benefits that tutoring can bring.